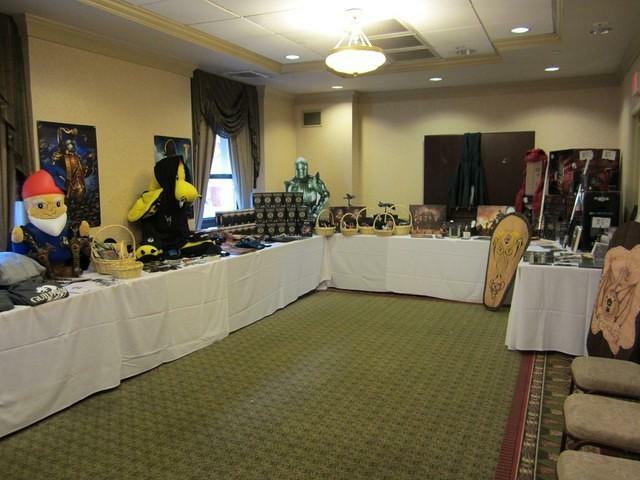 SyndCon 2012 - Charity Raffle Success! 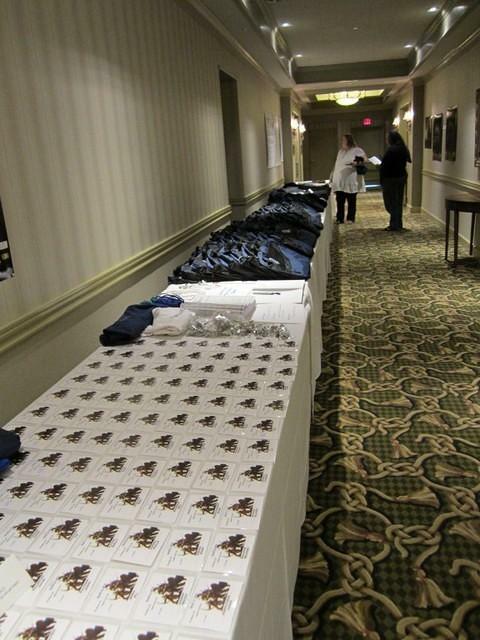 SyndCon 2012 took place this past weekend (Sept 23-27th) in Providence, RI. About 225 Syndicate members and guests attended the 11th annual event and spent 5 days gaming; consulting and building friendships. While we do not discuss who we consulted for and what future games were develed into, we do have one key focus area that we are very proud to discuss publically and that is our annual Charity Raffle. This year our raffle set a new fundraising record. Through the generous support of several dozen gaming companies and hardware manufacturers, we were able to set that new record so I wanted to extend our thanks for their support of the event. Dozens of prizes were given out including such things as an Alienware X51 Desktop, Coolermaster and Fractal Design PC cases, KillerNic Network Cards, Dueling Lightsabers, full sized Handmade Shields complete with Syndicate logos on them, complete comic book collections, signed Starcraft and World of Warcraft collectors addition sets; signed Guildwars, Pirates 101 and Wildstar game items; Firefall T-Shirts (that everyone who entered the raffle received) and much much more. You can see a picture of the jam packed raffle tables below. We have two charities that we support. The first is the American Cancer Society. We have lost a number of members to cancer and many in our group have lost loved ones as well. As such, that cause is very near and dear to our hearts. Our second charity is Youth Opportunity Unlimited. They are a group that supports inner city youth. They keep them drug free and off the streets and have some impressive statistics on how youth crime and drug use have dramatically declined since they began offering their services. This year was especially important for us because YOU's main source of funding is local government. As we all know, governments are strapped for cash and cutting lots of programs. YOU took a big hit to its funding so whatever support The Syndicate could provide would play an even more important role. The core staff from YOU attended SyndCon; shared their story and answered questions about their organization. So in addition to the dollars we raised for them; they received a number of direct contributions and made several new connections for additional funding. We are very proud of being able to do our small part to help out people and communities in need. We are only able to do that because of the support provided by our generous sponsors (THANK YOU!) and because of the generosity of our members in purchasing tickets for the raffle.